Hyatt M. Gibbs, distinguished physicist and Professor Emeritus of Optical Sciences at the University of Arizona, died Sept. 3 in France from complications due to mesothelioma. He was 74 years old. He earned his bachelor's degree from North Carolina State University in 1960 and graduated with a doctorate in physics from the University of California, Berkeley, in 1965. After two years at Berkeley as acting assistant professor, Gibbs joined the technical staff at Bell Laboratories, where he remained until joining the University of Arizona Optical Sciences Center (now the College of Optical Sciences) in 1980. During his time at Bell, he also served as an exchange scientist with Philips Research Laboratories in Holland and as a visiting lecturer at Princeton University. He retired from the University of Arizona in 2011. "Hyatt Gibbs was a towering figure in atomic, molecular and optical physics," said Regents' Professor of Physics and Optical Sciences Pierre Meystre. 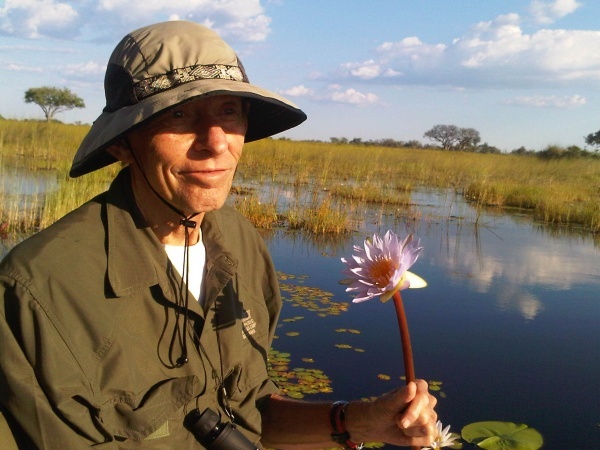 "During his career ... Â he made an amazing number of remarkable contributions to our field. He was a fearless and visionary thinker, a 'physicist's physicist' with a contagious scientific curiosity and enthusiasm, and an uncanny ability to think outside the box." Gibbs' research, much of which he pursued with UA professor Galina Khitrova, concentrated on optical physics, including femtosecond spectroscopy and the molecular beam epitaxy machine. Their group was the first to observe true strong coupling in semiconductor cavity QED, or quantum electrodynamics, with a single quantum dot in a photonic crystal slab nanocavity, which is being optimized for telecommunications applications. Nasser Peyghambarian, chair of Photonics and Lasers and professor of optical sciences and materials science and engineering, said of his work, "His discoveries in optical bistability led to vertical cavity surface-emitting lasers, which are the basis of many optoelectronic subsystems. His more recent research has also had tremendous impact in the scientific community." Adjunct professor of optical sciences Jack Jewell continued, "Hyatt arrived at OSC with a wealth of projects in optical bistability, which propelled several of his early students to later become pioneering leaders in the emerging VCSEL field." "Hyatt was a giant in optical physics and semiconductor photonics," said Thomas L. Koch, dean of the College of Optical Sciences. "He contributed enormously to the culture and reputation of the College of Optical Sciences and the University of Arizona." Gibbs remained active in his research even after his retirement, continuing his work until two days before his death. Stephan W. Koch, adjunct professor of optical sciences and professor of physics at Philipp University of Marburg in Germany, said, "Hyatt has always been an admired mentor, a superb scientist and a very dear personal friend. It was ... a great privilege to be involved in continuous discussions and scientific collaborations with him during the past three decades â€“ and the joint work is still ongoing." He advised more than 40 theses and dissertations at the University of Arizona and also volunteered as a mentor for the Research in Optics for K-14 Educators and Teachers program sponsored by the National Science Foundation. As Meystre said, Gibbs "was extremely generous in sharing his knowledge and ideas with his colleagues, from beginning graduate students to senior scientists. His reputation for scientific integrity was formidable â€“ and so was his sense of humor." Gibbs earned numerous honors for his work, including the 1984 Franklin Institute Michelson Medal and the 1998 Humboldt Research Award. He was a fellow of the American Association for the Advancement of Science, the American Physical Society, the Franklin Institute and the Optical Society. He was the sole author of "Optical Bistability: Controlling Light with Light" and coauthored "Nonlinear Photonics" with Khitrova and Peyghambarian. Comments? Send them to lqp@email.arizona.edu. Emails must be sent from UA or UA Foundation accounts. Please include your full name and title.